Mr. Plocki specializes in representing corporate clients and litigating commercial disputes before judges and juries in Virginia state and federal courts. He has represented clients in a wide range of business interests, including Fortune 100 telecommunications companies, audit and consulting firms, and international banks, as well as large transportation, logistics management, and technology companies. After graduating from law school, Mr. Plocki served as law clerk to the Honorable Robert W. Wooldrige, Jr. in the Fairfax County Circuit Court. After his clerkship, Mr. Plocki spent five years litigating for McGuireWoods, LLP. He has continued to represent corporate clients in state and federal courts, and has expanded his practice to counsel corporate clients and growing business as to best practices, policy development, and corporate governance designed to avoid litigation. Mr. Plocki served as trial counsel in defending a large telecommunications company against tort and contract claims worth over $2 million in the Fairfax County Circuit Court in connection with the provision of international long-distance services. That representation resulted in a complete defense verdict after a four-day jury trial. Mr. Plocki served as trial counsel in successfully defending a logistics management company against multi-million dollar tort and contract claims in the U.S. District Court for the Eastern District of Virginia in connection with a split between former business partners. Those claims included tortious interference with contract, fraud, misappropriation of trade secrets, and breach of contract. The parties settled after a four-day bench trial and while plaintiff's appeal was pending before the U.S. Court of Appeals for the Fourth Circuit. Mr. Plocki also served as lead trial counsel representing a local municipal authority in a takings action. That representation resulted in summary judgment being issued to the municipal defendant. Mr. Plocki also served as lead trial counsel in several state court actions involving small-to-midsized technology companies, manufacturers, and various small business owners. He works with companies to successfully avoid and resolve disputes, but will actively litigate cases to ensure a level playing field. He has successfully resolved many matters without the need for protracted, expensive litigation. 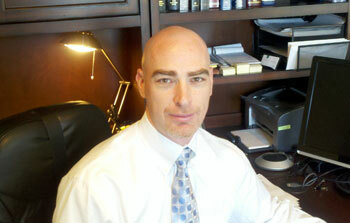 Mr. Plocki joined GarbiaPlocki, LLP in 2007. Pro bono work for Northern Virginia Legal Services and a Richmond-based charitable organization that acts as a public clearinghouse for grief-therapy counseling information. Harm Advocacy Theory: Where to Draw the Line Between Free Speech and Criminal Advocacy, 12 George Mason University Civil Rights Law Journal, 123, 2001. Disclaimer: The information provided on this site regarding prior cases is a general overview that does not include specific details or all of the facts a reviewer may need to compare those results to any other matter. Case results depend on a variety of factors unique to each case. Prior case results do not guarantee or predict a similar result in any future case taken by GarbiaPlocki, LLP.